Virtual Reality is an immersive experience in which your head movements are tracked in a three dimensional world. 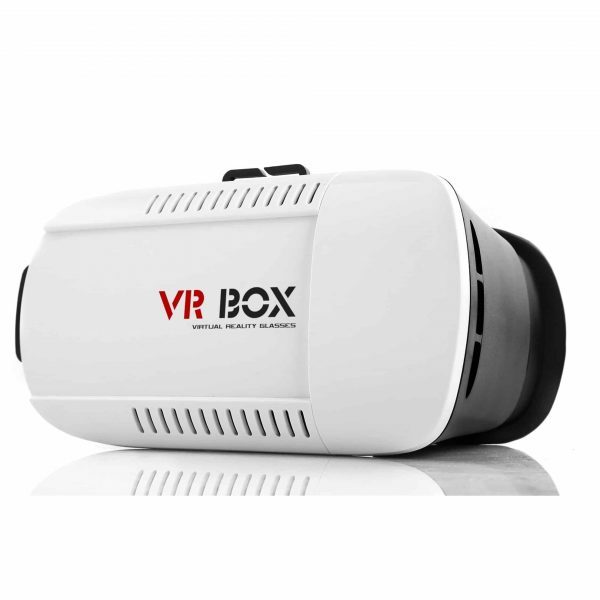 The VR Box Virtual Reality headset is your key to unlock the fun that Virtual Reality has to offer. The lightweight VR Headset looks good and works well with virtual reality. Use it in conjunction with your smartphone and step into the game, movie or immersive experience. The VR Box Virtual Reality Headset is made of High Quality ABS Plastic with a white smartphone cover and black body. The interlinings between the cover and your eyes are made from high-grade PU + Memory Foam to make the glasses fit perfectly and comfortably over your face and eyes. 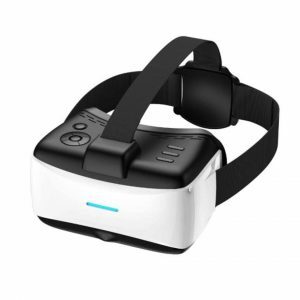 The VR Box Virtual Reality Headset comes with straps to offer a hands free Virtual Reality immersive experience. (You can remove the straps if you want to hold the lenses over your eyes.) These straps are made from a high quality elastic nylon material. You adjust the straps to fit your head. The headset is relatively light and weighs only 300 grams without your smartphone mounted. This is quite important as the headset might get heavy if you use it for prolonged hours. The lighter the headset the more convenient. The VR Box glasses is tinted with magenta and green 3d glasses to enable you to watch 3D Virtual Reality Immersive Videos in 3D. The glasses offers a 92 to 98 degrees view through the 42mm in diameter lenses. These lenses are made from high quality materials. The VR Box Lenses can also be adjusted to suite your eyes and provide resistance to feeling fatigue and dizzy when using the Virtual Reality Headset. The VR Box Virtual Reality Headset fits most smartphones with a screen between 4.7 inches and 6.0 inches. Making it an ideal headset for Sony, Samsung and IPhone. Unlike many Smartphone Virtual Reality Headsets the VR Box allows you to charge the phone while playing, it even lets you add additional devices to your phone like earphones, speakers and Virtual Reality controllers like the leap controller. The VR Box Virtual Reality Headset is portable, light and easy to carry.